If the sky is the limit, Free Casino Games is your ultimate Free online Video Poker source for a multitude of poker varieties to choose from. Here players will find the latest releases, most popular and most often played games. Video Poker is an excellent alternative to Table Game action particularly for the wide range of gaming options. 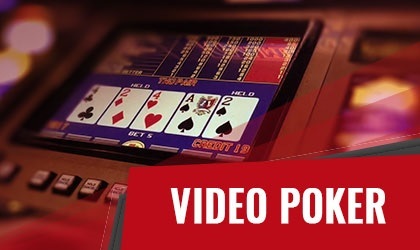 Video Poker offers a wealth of choices with thrilling creative ways to play. It is a player versus animated machine to play one on one. Overall most selections are played with one 52 card deck with a few exceptions depending on game played. The cards are shuffled displaying 5 cards dealt with option to hold or save one or all cards for the draw. The Video Poker table displays all the winning hands offering a handy tool for those just learning how to play. Variations include Bonus games, Wild card games like Deuces Wild, Joker Poker and Aces & Faces. There is ample opportunity to win big money with 2 Ways Royal Poker, Double Double Poker and Double Joker Poker to name a few. Some Video Poker selections allow up to 100 hands in play during each game for greater thrills and odds at winning. Brush up on your Poker skills and learn how to play like a pro in no time at all absolutely Free.